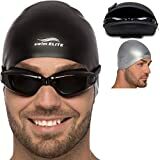 Are you trying to search for the most comfortable and stylish swimming goggoles? 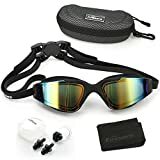 Our Swimming Goggles will be the best choice for you.Practical function,Stylish appearance, unique design Made of high quality PC, TPU and silicone materials and imported UV stable materials, our swim goggles can both protect your eyes from the water and provide relaxing and comfortable swimming at the same time. High quality materials to ensure swim goggles that the mirror has a practical function. UV resistant and anti fogging coated lens, not easy to break the frame. Close to the eye, sealing strong, watertight, reduce eye pressure. Long term use may reduce the effect of anti fog coating. You should take the swimming goggles in the water, gently shake, or rinse with water, so you can keep the anti fog coating work.Never wipe the lens as this can remove or scratch the anti-fog coating. You should keep them away from dirt and grease, store carefully to avoid scratching. After you swim, wash the lens with fresh water to rinse chlorine, salt sand, or other contaminants and allow to air dry in a warm, clean environment. Please remember to clean the lenses with fresh water after use.Don’t leave your goggles out under direct sunlight as this can dry the soft silicone seals and fade its color. ▼OUR SWIM GOGGLE FEATURES:❶Swim Glasses 100% U.V. 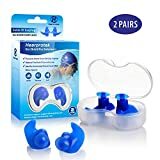 Protection ❷Soft Silicone cushions for comfort ❸swimming goggles Anti-shatter, Anti-fog Coated Lenses ❹Adjustable Head-Strap ❺ Easy Quick Release Clip-One Click Lock in the Back Strap adjustment is quick and easy. 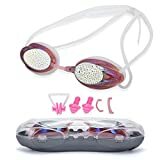 ▼BEST EYE PROTECTION AND CLEAR VISION FOR SWIMMING – This swimming goggles are mirror-coated with the latest anti-fog protection with specially designed, shatterproof lenses to let you have prolonged clear vision. Whether you are racing for a record, swimming for better health or making memories at the swimming pool, these high tech lenses block harmful UV rays, keep fogging to minimum and anti-shatter techonology protects themselves against sudden drops and scratches. ▼100% UV PROTECTION, ANTI-FOG COATING, ANTI-SHATTER LENSES, MIRROR COATED LENSES – The coated lens using high quality imported PC material can anti-shatter. The lenses are covered with a layer of anti fog coating effective UV protection and protect your eyes from heat and damage of the sunrays, make your vision clearer especially when you swim outdoors. The uv protection swimming goggles to bring you top uv protection. No longer have to worry about the eyes will be burned in the hot sun. 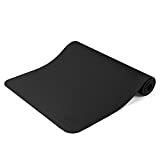 ▼COMFORTABLE WEARING – Advanced environmental protection flexible silicone frame. According to the design of 3D human engineering, let the eyes sticks to eye frame more comfortable. Completely sealed silicone protective circle design to prevent water from entering your goggles. This is a feature of our swim goggles – KEEP WATER OUT. Elasticity nose pieces, Comfortable to wear. Improved nose piece provide extreme comfort that never hurt your nose or leave a mark on your face. ▼100% LIFETIME SATISFACTION GUARANTEE – Yes, you read that correctly! We provide a LIFETIME GUARANTEE to all customers who purchase our swimming goggles. If you are not satisfied with your purchase, what we can do is to guarantee 100% refund to you. We are committed to our customers to provide the best swimming goggles, the most sincere after-sale service, let customers really enjoy the fun of buying.